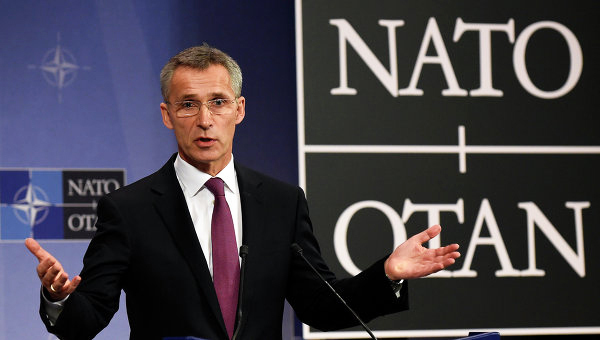 NATO chief Jens Stoltenberg warned in an interview published Saturday that a Russian naval build-up threatens transport and communications links between alliance members. "Russia has invested massively in its navy, especially submarines," Stoltenberg told the Frankfurter Allgemeine Sonntagszeitung, adding that Moscow has deployed 13 additional submarines since 2014, Deutsche Welle reports. "Russia's submarine activity is now at its highest level since the Cold War," he said. He said submarines are active in the Atlantic and Mediterranean and also "near our coastlines." Stoltenberg suggested the submarine build-up threatened logistic and communications channels between North America and Europe. "We are a transatlantic alliance, and we must therefore be in a position to transport troops and equipment over the Atlantic. For that we need secure and open seaways," he said. In this strategic environment, NATO plans to establish a new Atlantic and logistics command. The location and structure of the commands is to be determined next year. The NATO chief also warned that since the end of the Cold War the alliance has lost some of its sea capability, especially in countering submarines.